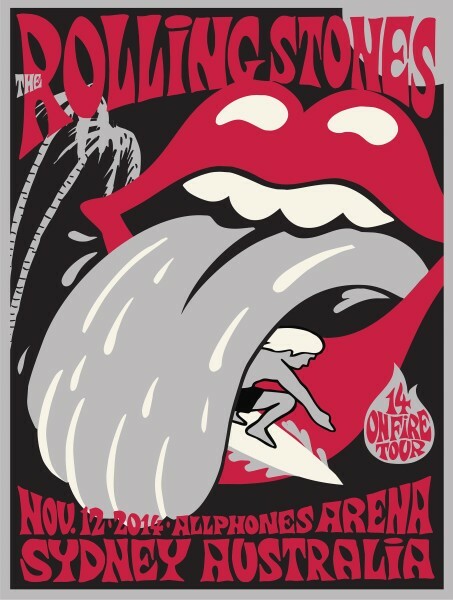 This thread is for live updates and comments regarding The Rolling Stones performance at the Allphones Arena in Sydney Australia 12 November 2014. Please tell us your pre- and post-show thoughts and comments here. Do we know if there is a support act, and/or what time the Stones hit the stage? A tip for any out of town visitors who have Amex cards - your card and photo ID will get you admission to the Amex Lounge at Allphones Arena for a pre-show beer or snack. Arena show, ergo no support act would be the usual. In line for the pit or are there other standing sections? It's going to be a long wait! Have a good show, will be tuning in from Europe in about 9 hours. My only show of the tour, but I'm in the pit so it should be amazing. Leaving work at 3pm and will be at the venue shortly after. Can't wait. Sigh... I love in Sydney but I don't have a ticket. Who has a spare ticket? Check ticketek.com.au, I was on there earlier this morning and some limited tickets had dropped. Go hard lads and lasses, the T-Shirt design being the same as the poster is awesome news, lets hope the 22nd in Auckland has the same. VIP pit line is only line at mo. It's 11.40 am. 14 of us in line. Got a ticket!!!!! After the Hanging Rock concert being cancelled twice I'm so happy that I can see them after all!!!! Bugga, I am in Perth........too late for Sydney ... BRISSIE??? Happy for you. Wish I were there instead on looking at a computer screen in my office in Tokyo, but . . .
Just leaving the office now to pick up the kids from after school care, then home to leave the kids with my mum who has kindly offered to look after them tonight while my wife and I kick up our heels. We live a 10 minute drive from the arena. Edited 1 time(s). Last edit at 2014-11-12 08:00 by AussieMark. Good morning Europe. It is show time! Goodmorning and have a great time! Good morning Aus and those visiting. Have a fantastic Rolling Stones show. Europe is READY for Sydney!! Have a good ONE, very soon, in Sydney! Boy do I wish I was there ... hope the show is great. Looking forward to this thread when I wake up here on Canada's westcoast. Work in Melbourne-airport-plane-train direct to Allphones! Have a great show, y'all! "In honour of the legendary Rolling Stones playing Sydney tonight, we've raised the flag on our rooftop ... "
Edited 2 time(s). Last edit at 2014-11-12 10:40 by Irix.